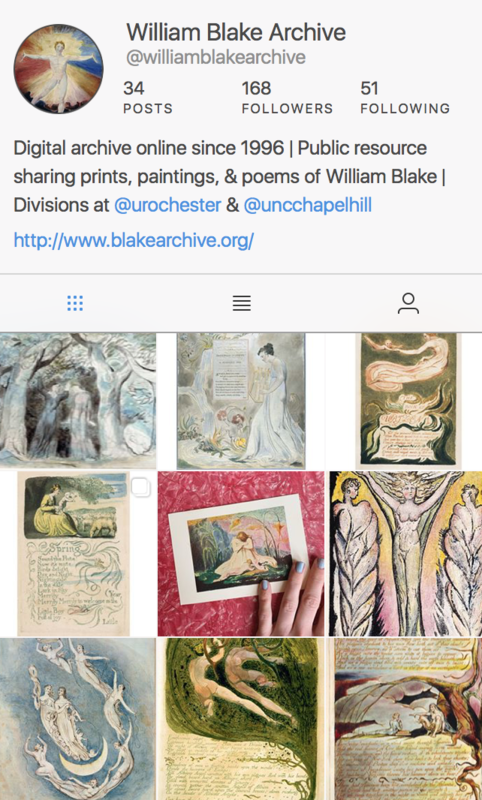 The William Blake Archive is pleased to announce the republication of electronic editions of the Thomas Butts and John Linnell series of Blake’s water color illustrations of the Book of Job and the sketchbook of preliminary pencil drawings for his Job engravings. These three series were previously published in our Preview mode, one that provides all the features of the Archive except Image Search and Inote (which provides detailed descriptions of Blake’s images). With this republication, those functions now become available, along with our new “Related Works” feature giving access to related materials through active links on the work index pages and the “Show Me” menu on the object view pages. 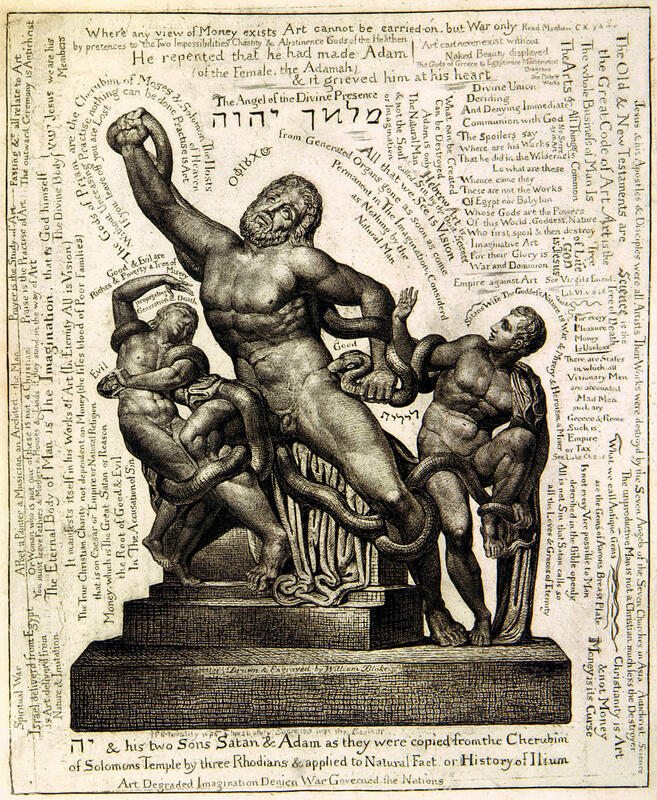 Blake’s Job engravings have been previously published with Image Search and Inote capabilities. With this republication, the Archive now includes fully searchable reproductions of all four series of Job designs, among Blake’s greatest achievements as a visual artist. Thus, characters pictured in the designs, such as Bildad, Eliphaz, and of course Job’s wife, can be searched and located in all four series. The Archive’s Image Search menu also includes a great many lesser motifs, figure types, postures and gestures. In coming months, we will publish similarly updated versions of other works presently in Preview mode, including Blake’s nine series of water colors illustrating the poetry of John Milton. The Archive recently added a new set of scholarly tools that should prove particularly useful when studying Blake’s Job designs. These tools, known collectively as our Related Works system, are designed to show relationships among works and individual objects in the Archive. They function at two levels. First, work index pages now include active links to related materials in the Archive. Thus, researchers can move easily from any given Job series to any other series. Second, the “Show Me” menu on object view pages now includes “Related Works in the Archive.” Like the work-level menu, this list includes active links to related designs and is meant to allow study of the related materials side by side. For example, researchers can move quickly from Blake’s engraving of Behemoth and Leviathan to its drawing in the sketchbook and study how Blake developed his design from preliminary sketch to finished engraving.